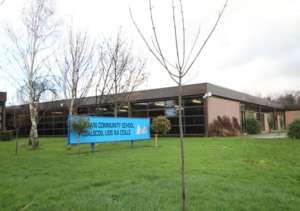 Nightcourses.com lists part-time courses and evening classes for Old Bawn Community School. 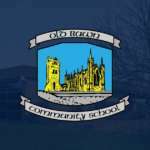 In Old Bawn Community School we believe in life-long learning and our programme aims to meet the personal, professional and leisure needs and reflect the interests of the local resident and business community. Each year we have over 1,000 adult learners attending our very broad spectrum of courses which run from September to May. Besides the broad range of in-house courses we also offer a variety of professional diploma and certified courses in association with a number of colleges and institutions. An evening of bliss and relaxation-learning about Angels by guided mediation & angel cards, aura soma colour therapy, crystals & bach flower essences. Free courses. Course funded by The Digital Skills for Citizens Grant Scheme. This course will cover online transactions, email, online shopping, social media and web exploration. Explore the possibilities & get the most from you iPad & Tablet computer! Learn how to use innovative apps to enhance your usage for greater discovery, productivity & creativity. Learn how to carry out plumbing repairs and installation in your home. Emphasis will be on practical hands-on plumbing. No tools or materials required. This Hairdressing course is a basic introduction into the world of hairdressing for beginners. This course is for those who want to practice oral Irish based on related learner topics with focus on grammar elements studied widely in Primary Teaching courses. Covers various modules in Journalism. How the media works, ethics and Issues, Language use, News, Reporting, Compiling and Editing Newsletters, Feature articles and Interviewing skills. Revision course: ideal for 6th year ordinary level maths students. Through exercise, this Pilates course actively teaches to improve posture & strengthen the spine & ease back pain. Please bring mat / towel. Level 2 certificate from the Sign Language Association of Ireland. N.B. Exam fee extra. Fee: €245.00 Length of Course: N.B. 15 week course 7.30-9.30pm. Improve posture, balance & co-ordination through smooth conscious movements. Develop breath awareness, concentration & relaxation, enabling you to deal with everyday stresses calmly & effectively. (Suitable for all ages and fitness levels). Get the essential skills needed to stay safe on the hills and mountains of Ireland. Yoga for Beginners Fee: €110.00 Length of Course: 10 nights 7.30-9.30pm Please bring a Mat / Towel.